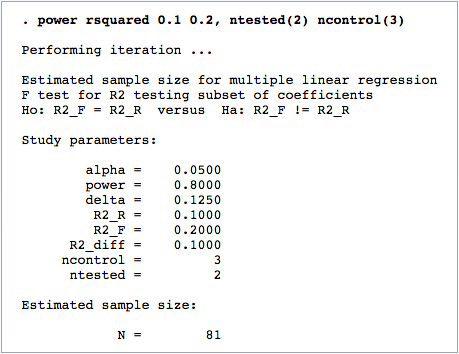 Stata's power command performs power and sample-size analysis (PSS). 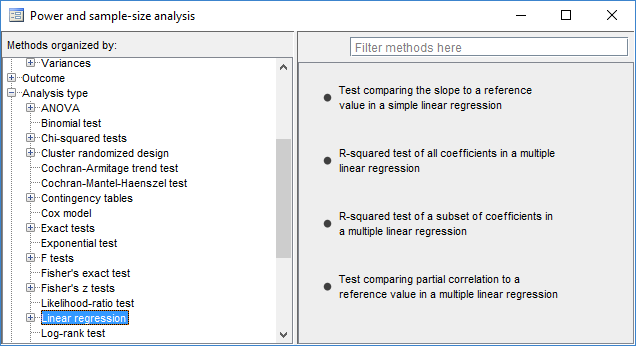 Its features now include PSS for linear regression. 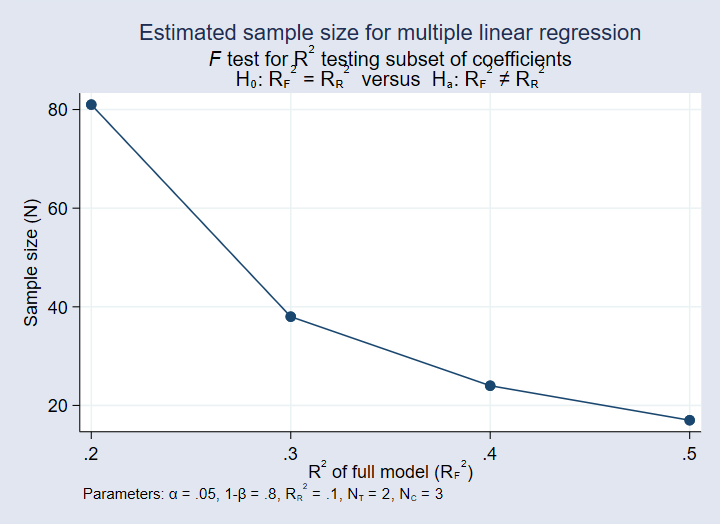 Stata's power command provides three new PSS methods for linear regression.